Global cutting-edge research in cellular protection and years spent in partnership with leading scientists have culminated in Vivix Antioxidant Solution: a scientific breakthrough from Shaklee with ingredients that can protect against and even repair cell damage. 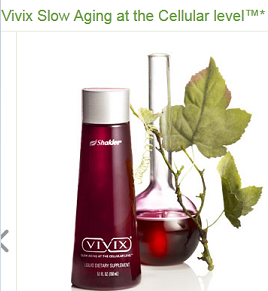 Only Vivix contains both resveratrol and a proprietary phytonutrient blend. This blend harnesses the powerful antioxidant properties of rare muscadine grapes and has been shown to be 10 times more powerful than resveratrol alone in slowing cell-damaging AGE (advanced glycation end-product) protein formation.